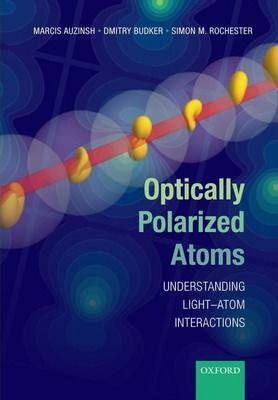 Description: This book is addressed to upper-level undergraduate and graduate students involved in research in atomic, molecular, and optical physics. It will also be useful to researchers practising in this field. It gives an intuitive, yet sufficiently detailed and rigorous introduction to light-atom interactions with a particular emphasis on the symmetry aspects of the interaction, especially those associated with the angular momentum of atoms and light. The book will enable readers to carry out practical calculations on their own, and is richly illustrated with examples drawn from current research topics, such as resonant nonlinear magneto-opticals. The book comes with a software package for a variety of atomic-physics calculations and further interactive examples that is freely downloadable from the book's web page, as well as additional materials (such as power-point presentations) available to instructors who adopt the text for their courses.